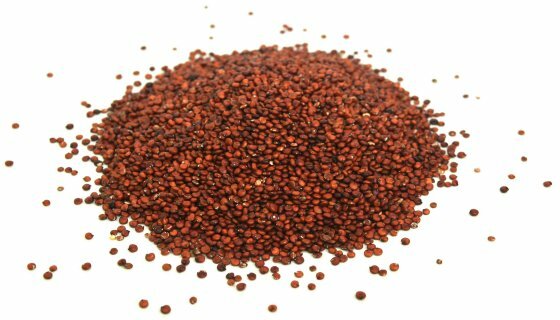 Organic Amaranth SeedsOrganic Amaranth Seeds Amaranth is thought to have originated in Peru. It has been cultivated and eaten for thousands of years in the Americas, prized by the Aztecs for its high nutritional value. 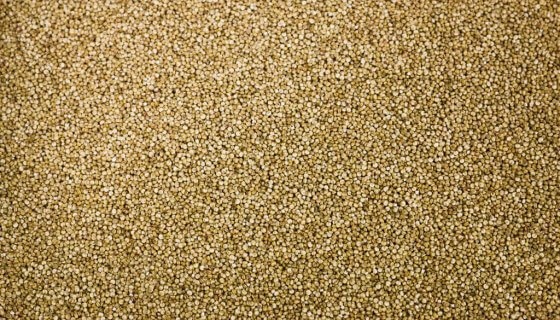 Technically a seed, not a grain, Amaranth is naturally free of gluten.This scrumptious, organically grown Amaranth has a firm texture and slightly earthy, nutty flavour, making it a wholesome and versatile addition to the menu from breakfast to desserts. How to Use:Organic Amaranth can be prepared as a nutritious porridge and served with fresh fruit and yoghurt for a great start to the day. Or soak overnight with millet and buckwheat grain before blitzing into a delicious pancake batter. Yummy with banana, pecans and maple.Serve Amaranth hot or cold in place of rice or couscous. Use it to accompany stir fries and curries, in soups and hotpots, herbed with fresh fish, and to create wonderful salads as main meals or side dishes.Try as a delicious replacement for cracked wheat in Tabouli, or with feta, caramelised onions and roasted beetroot. Add raw or activated to bread and muffin recipes, or mix pre-cooked Amaranth with shredded coconut as a substitute for oats on top of yummy grain free fruit crumbles. 1 cup of dried Amaranth will cook to about 2 cups. Rinse well under cold water (use a fine mesh sieve).Place drained Amaranth in saucepan of cold water at a ratio is 1:2. Cover and bring to a boil, turn the heat down to low and set the lid ajar. Simmer for 15-20 minutes, until Amaranth is tender. Once cooked, turn off the heat, put the lid on and let sit for about 5 minutes.Use a fork to fluff up the Amaranth and serve, or refrigerate for salad recipes. For a creamy texture use 1:3 water and cook for an extra 10-20 minutes, stirring regularly. 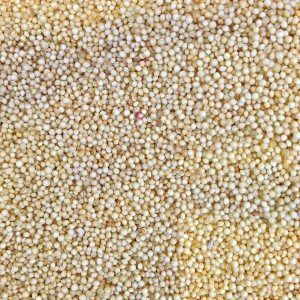 Amaranth can even be gently popped as you would corn!Ingredients: Organic Amaranth Grain.Preservative Free, Non-GMO, No Added Sugar. Paleo.Allergens:No known Allergens.May also contain traces of allergens due to possible cross-contamination.Storage:Store in an air tight container in a cool, dry place, away from direct sunlight.Refrigeration recommended in warm climates.Shelf Life:Up to 24 months when stored as above. See Best Before date. SKU: 40101. 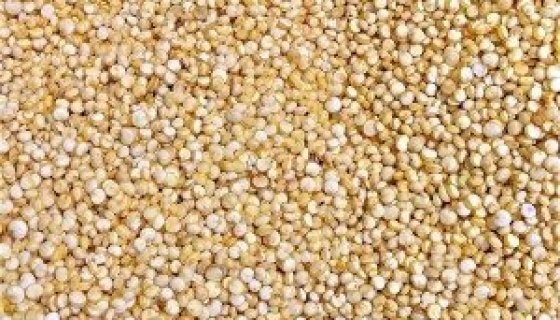 Amaranth is thought to have originated in Peru. It has been cultivated and eaten for thousands of years in the Americas, prized by the Aztecs for its high nutritional value. Technically a seed, not a grain, Amaranth is naturally free of gluten.This scrumptious, organically grown Amaranth has a firm texture and slightly earthy, nutty flavour, making it a wholesome and versatile addition to the menu from breakfast to desserts. Organic Amaranth can be prepared as a nutritious porridge and served with fresh fruit and yoghurt for a great start to the day. Or soak overnight with millet and buckwheat grain before blitzing into a delicious pancake batter. Yummy with banana, pecans and maple. Serve Amaranth hot or cold in place of rice or couscous. Use it to accompany stir fries and curries, in soups and hotpots, herbed with fresh fish, and to create wonderful salads as main meals or side dishes. Try as a delicious replacement for cracked wheat in Tabouli, or with feta, caramelised onions and roasted beetroot. Add raw or activated to bread and muffin recipes, or mix pre-cooked Amaranth with shredded coconut as a substitute for oats on top of yummy grain free fruit crumbles. 1 cup of dried Amaranth will cook to about 2 cups. Rinse well under cold water (use a fine mesh sieve). 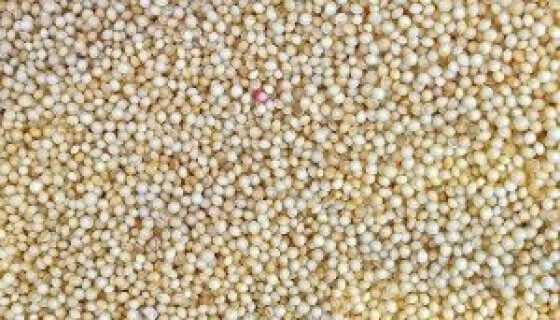 Place drained Amaranth in saucepan of cold water at a ratio is 1:2. Cover and bring to a boil, turn the heat down to low and set the lid ajar. Simmer for 15-20 minutes, until Amaranth is tender. Once cooked, turn off the heat, put the lid on and let sit for about 5 minutes. Use a fork to fluff up the Amaranth and serve, or refrigerate for salad recipes. For a creamy texture use 1:3 water and cook for an extra 10-20 minutes, stirring regularly. Amaranth can even be gently popped as you would corn! Preservative Free, Non-GMO, No Added Sugar. Paleo. No known Allergens.May also contain traces of allergens due to possible cross-contamination. Store in an air tight container in a cool, dry place, away from direct sunlight.Refrigeration recommended in warm climates. Up to 24 months when stored as above. See Best Before date.